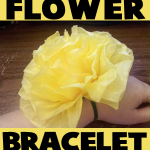 Find out how to make a tissue paper flower bracelet for Mom on Mother’s Day. This would also be a great bracelet to wear in Spring or for Easter. Find out how to make it with this great crafts tutorial. Today I’m going to show you how to make a paper rose. 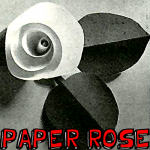 Knowing how to make a rose out of paper can came into handy on special days like Mother’s Day, Valentine’s Day or even on someone’s Birthday. With only a few materials you can learn how to make a beautiful rose that is good enough to give out on these special days. So, grab the few materials needed and let’s get started. I have a fun and easy craft for you today. 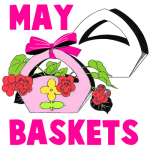 In this post I’m going to show you how to make a May Basket. 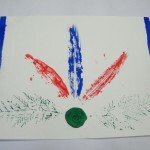 This craft is a great craft for even the youngest of crafters as we will be using a template for this craft. Simply print out the template, cut, fold and glue and that’s it. 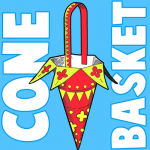 Of course, you are going to want your May Basket to be pretty so make sure to color and decorate it the way you see fit. So, grab the materials needed for this craft and let’s get started. I have a fun craft for you today. 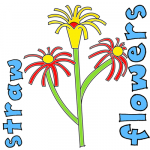 In this post I will show you how to make Drinking Straw Flowers. 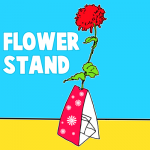 The supplies are for just one flower, but make a whole bunch and you have yourself a bouquet. They would look fun and festive this Spring in a vase or pot. 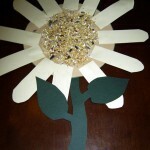 Any age child will enjoy making these flowers even the youngest of crafters. So, grab the materials needed and let’s get started with this craft. I have a fun and creative Spring craft for you today. 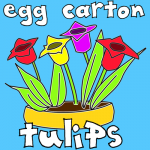 I’m going to show you how to make Egg Carton Tulips for Spring. 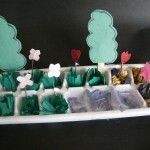 This craft is a great way to use up all those egg cartons you have laying around after Easter. Nothing like recycling items and using them to create something beautiful. And these tulips are no exception….. they come out looking so colorful. Just the perfect craft to make and give to you Mom or Grandma to help them celebrate Spring. They will surely love this item….. so let’s get started. Mother nature is absolutely beautiful….. just breathtaking. Did you ever wish you could hold some of nature in a jar so you can look at it whenever you want? Well, today I’m going to show you how to do just that. 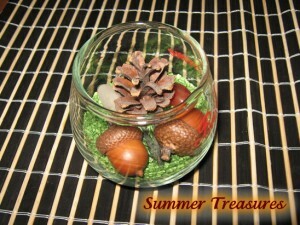 In this post I’m going to show you how to make a Nature Treasure Bowl. Simply take a walk in a park or in the woods and collect some of the things you find along the way like acorns, stones, pine cones…. whatever you want to place in a jar. So, let’s get started. Spring is so close you could almost taste it. And, with that being said I thought we would celebrate Spring with doing a craft that is totally about flowers. 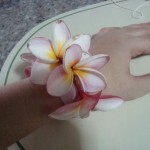 Today I’m going to show you how to make a Fresh Flower Bracelet. If you would prefer you could make this into a garland by making the Fresh Flower bracelet even longer. The choice is yours. I used the Temple Flower for this craft. Fresh flowers look best. So, let’s get started. Spring will be here before you know it. And this activity is a great excuse to spend some time outdoors. 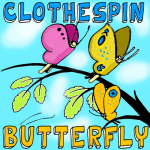 With this activity you will need to go outdoors and collect leaves of different shapes and sizes. You will paint them and use them as a stamp to create a picture of your choosing. This craft is a lot of fun and the cool part is that no Leaf Print Picture will ever be the same. Use your creativity to paint a bunch of different pictures. So, grab some leaves and let’s get started. 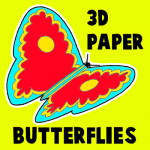 Crepe paper flowers are very beautiful, but usually require a lot of skill to make. 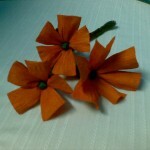 But here’s a type of crepe paper flowers that are easy to make and look very pretty. You don’t have to use the colors I did…. instead pick out a bunch of Spring colors to get in the Spring spirit. After all, Spring will be here in just a couple of weeks. These Crepe Paper Flowers are perfect for an upcoming party…. or better yet just decorate your child’s room with beautiful colors. Either way…. let’s have fun making this craft. 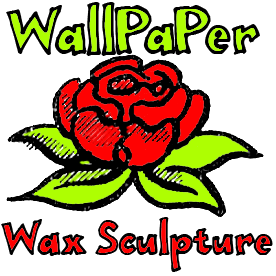 This craft is all about taking ugly wallpaper and transforming it into beautiful 3-dimensional flowers. This craft only has 3 steps and is pretty simple to complete once you get the hang of it.